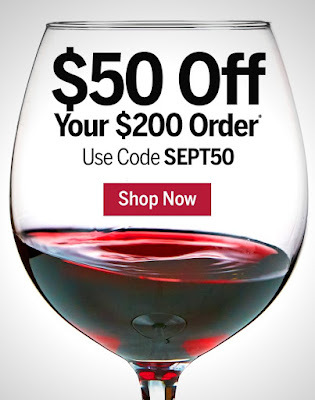 $50 off $200 with code SEPT50. Expires 10/1/2018. This can be stacked with a $10 off $50 Amex Offer that's going on at the moment, or used with gift cards purchased from previous promotions. Log into your Amex account to see if your cards have been targeted. You need to activate the Amex Offer before using it, and keep in mind that Amex Offers are limited to a single use per SSN. Wine.com coupon codes tend to be single-use per account. Fine print: *Order must be placed by 10/1/2018. The $50 discount is given for a single order with a minimum of $200 excluding shipping and tax. Items with pricing ending in .97 are excluded and will not count toward the minimum required. 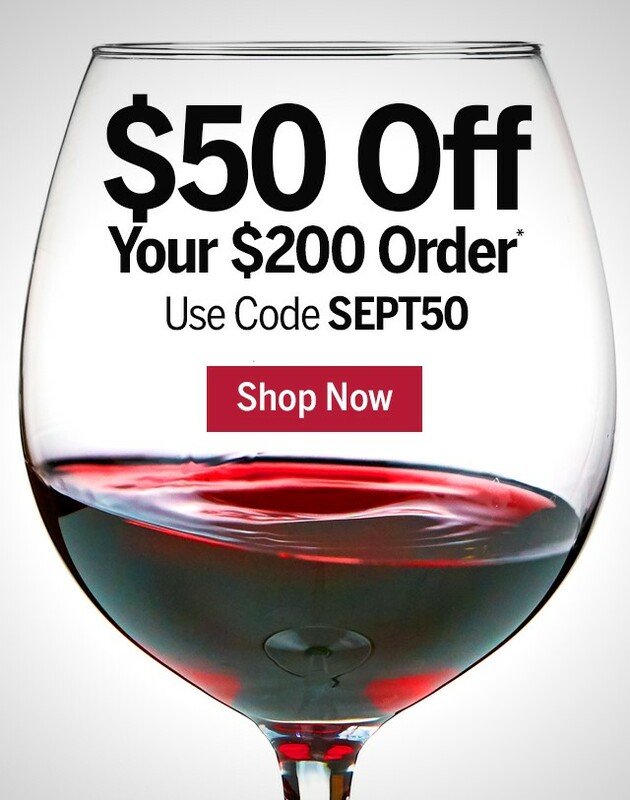 Discount does not apply to corporate orders, gift certificates, StewardShip membership fees, select Champagne brands, Riedel glassware, fine and rare wine, and all bottles 3.0 liters or larger. No other promotion codes, coupon codes or corporate discounts may be applied to order.